Gluten Free Blueberry Cobbler is frozen blueberries mixed with sugar and topped with a buttery brown sugar crust. 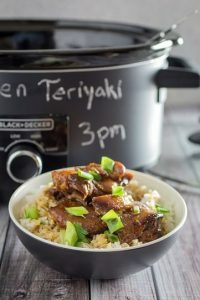 It’s quick and easy to throw together and bakes in no time at all! 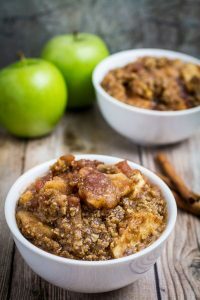 If you love this Gluten Free Blueberry Cobbler, you’ll probably also dig this Slow Cooker Apple Crisp and this No Bake Blueberry Cheesecake! Gluten Free Blueberry Cobbler is a gluten free version of a classic recipe. Fresh or frozen blueberries are mixed with sugar and topped with a sweet cobbler crust. I love serving this easy blueberry cobbler on the weekends, when everyone is home from work. 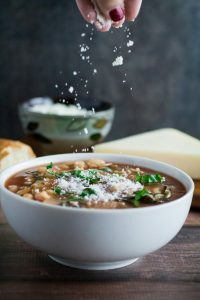 It’s the kind of dish you want to take your time enjoying, with a big spoonful of whipped cream or a scoop of vanilla ice cream. Can you make blueberry cobbler with frozen blueberries? Yes, I make this blueberry cobbler with frozen blueberries. The frozen blueberries may release more liquid than fresh berries, so I’ve added a bit more corn starch to this recipe to make the filling thicker and not watery. 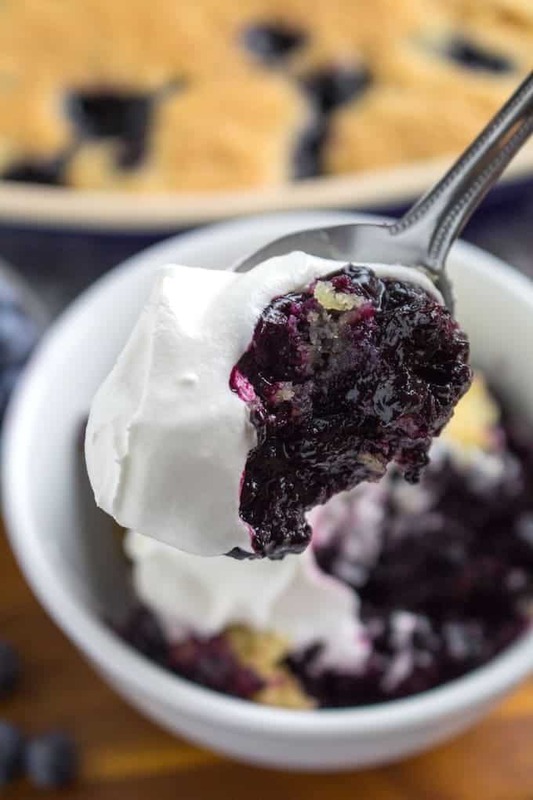 But in my opinion, it’s much easier to make blueberry cobbler with frozen blueberries on the spur of the moment because you can keep them in your freezer all year long! Blueberry cobbler is a sweet blueberry pie filling topped with a sweet biscuit batter and baked. Occasionally a cobbler will have a top and bottom crust, but this recipe only has the tup crust. 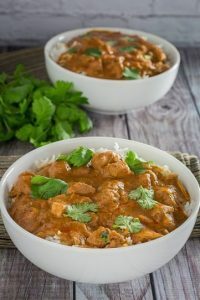 Quick and easy is the plan here! 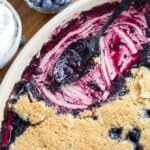 How to make blueberry cobbler? Blueberry cobbler is really simple to make if you follow these few easy steps. Soon you’ll know how to make blueberry cobbler like a pro! Preheat your oven to 375F. Stir together blueberries, corn starch, lemon juice, and brown sugar. Mix together butter and sugar. Slowly add in egg and vanilla extract, then the rest of the dry ingredients. Pour blueberries in a greased baking dish. Add scoops of batter on top of blueberries evenly. That’s it! There’s no big tricks to my easy blueberry cobbler recipe. 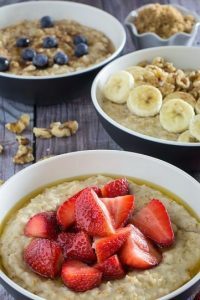 You can also make this with any fruit you want. I usually keep a bag of frozen berries in my house at all times, so I’ll see which one is on sale that week. 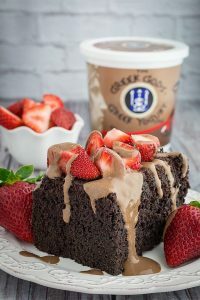 This is especially great with a bag of mixed berries, which has blueberries, strawberries, raspberries, blackberries, etc. There’s really no going wrong with this. 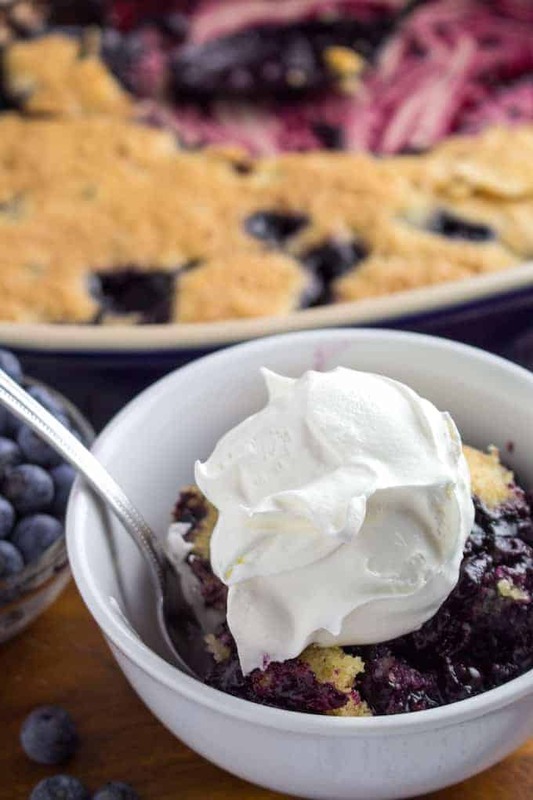 Once you know how to make blueberry cobbler, you can experiment with all different kinds! 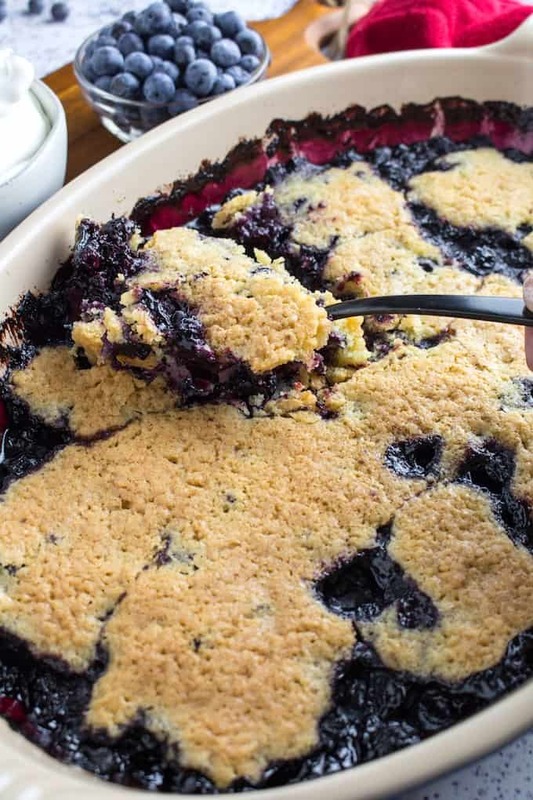 Can you freeze easy blueberry cobbler? 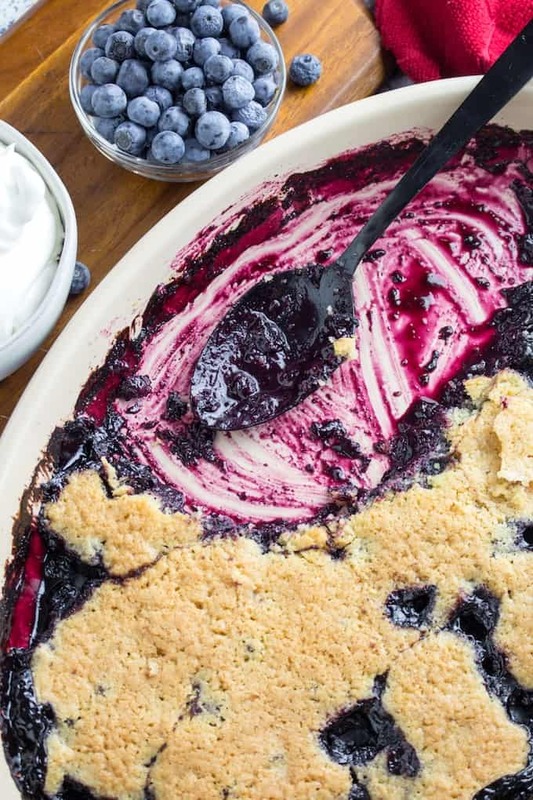 Yes, this easy blueberry cobbler can be frozen after baking. Make sure you wrap it tightly in plastic wrap and then aluminum foil to keep any frost off of your cobbler. Personally, I don’t usually care if it doesn’t look pretty, so I’ll put it in airtight glass Tupperware and into the freezer. You can freeze blueberry cobbler for up to one month. 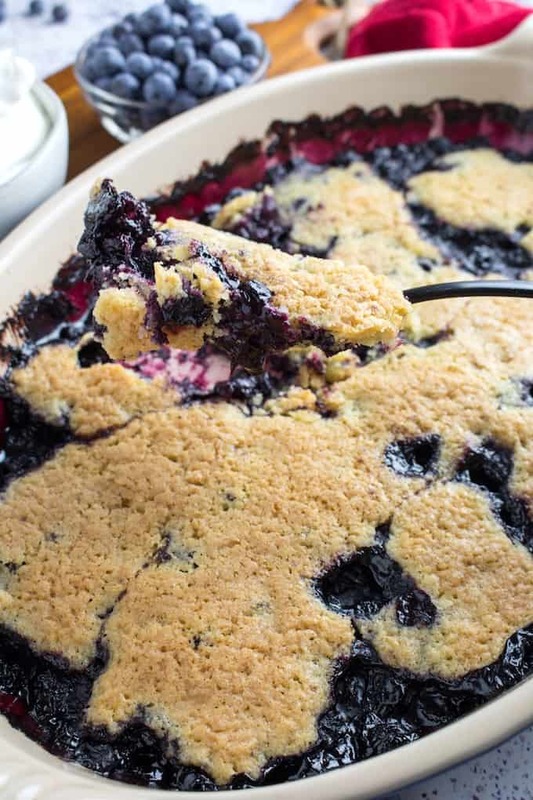 What is the difference between blueberry buckle and cobbler? 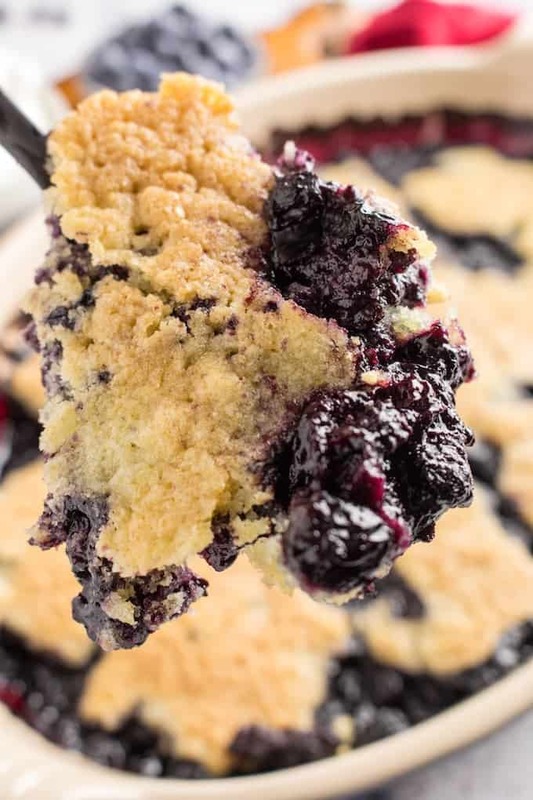 Blueberry cobbler is a sweet blueberry pie-type filling topped with a biscuit-like crust, while blueberry buckle is more of a cake with blueberries in the batter topped with a streusel topping. I’d say a cobbler is closer to the pie family, while a buckle is more like a coffee cake type dish. Gluten Free Blueberry Cobbler is frozen blueberries mixed with sugar and topped with a buttery brown sugar crust. 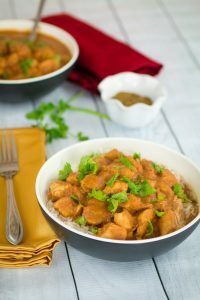 It's quick and easy to throw together and bakes in no time at all! Preheat oven to 375F. 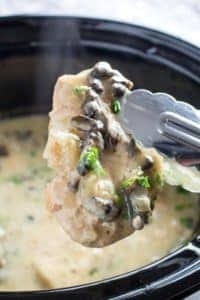 Grease a baking dish and set aside. In a bowl, stir together blueberries, 1/2 tsp cinnamon, corn starch, lemon juice, and brown sugar. Pour into baking dish and spread evenly. With a mixer, cream together butter, white sugar, vanilla extract, and egg. Add flour, baking powder, salt, and 1/2 tsp cinnamon. Add batter in scoops on top of blueberry filling evenly. Bake 40-45 minutes, or until topping is golden brown.